The venue for this year's launch was The Electric Cinema in Portobello London. The launch is an opportunity for the top fruit industry's promotional body English Apples and Pears to inform the press and EAP contributors about the directional planning for English Apples & Pears. English Apples & Pears is a limited registered company formed in 1990 to organise and develop the promotion of the British apple and pear industry. 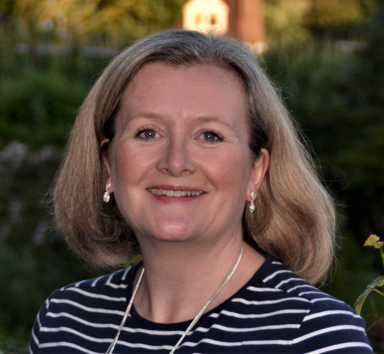 Over the last year the EAP Board changing the management process from 'CEO led' to the appointment of Ali Capper as Executive Chair supported by Operations Director Sarah Calcutt with greater involvement by the EAP Board Members is (in my opinion) a significant step forward. 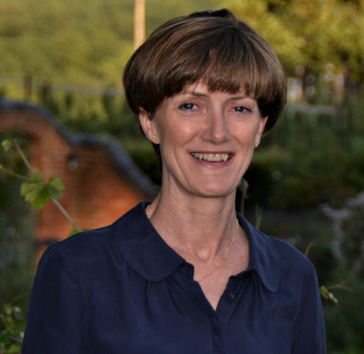 Ali is a grower of fruit and hops in Worcestershire and Chair of The National Farmers Union Horticultural & Potatoes Committee while Sarah is the daughter of a top fruit grower in Kent and has for a number of years been (and still is) the Chair of The National Fruit Show. These two ladies bring their 'consummate knowledge' of the British top fruit industry and a drive and enthusiasm for expanding sales of 'Great British Apples' in the future. Ali and Sarah are supported by executive board members representing grower, marketing and technical expertise. Opening the launch procedures, EAP Operations Director Sarah Calcutt welcomed members of the press, growers, marketing and retailer representatives and gave us all an overview of the evening ahead, before introducing Executive Chair Ali Capper onto the stage. Ali said this is a great opportunity to celebrate the 2018 season with the best tasting apples this century, in spite of the challenges of extreme cold followed by extreme heat and lack of rain. "I am proud as a grower and representative of our industry to be part of a 'Great Story' as we move forward and build on the success of home grown apples over the last decade. Sarah and I are already formulating plans to continue the forward movement of the Great British Apple Campaign for next year. However: Ali cautioned; "there is always a however"- the lack of support by government in our need for sufficient harvest workers, is the most challenging problem we face. Government's obsession with 'skilled worker' immigration puts our dynamic industry at risk. All the hard work and investment which has increased the market share from 26% to 42% of the UK apple market will be lost if we cannot pick our crops through lack of harvest workers. Introducing the promotional video: Click on Great British Apples 2030 Ali emphasised the story it tells of how we plan to take our industry from the current 42% of the market share to 60% by 2030! The video explains very well the ambitions and challenges we will face in the period to 2030. 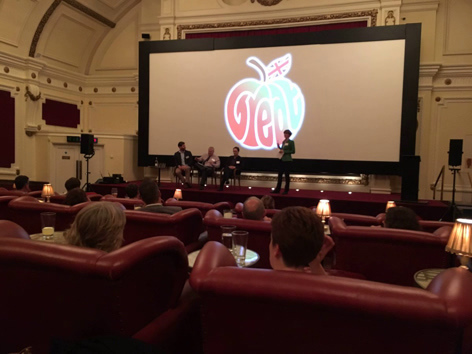 After viewing the Great British Apples 2030 video, Ali invited a panel of experts onto the stage to answer questions from the audience. Grower Robert Rendall, Promar International Director John Giles and Fruit Produce Journal Editor Michael Barker answered the questions with great insight and more than a degree of good humour. The English Apple Man shares Ali's frustration and as a reminder reprints her response to the MAC report published in last week's English Apple Man Journal. On Monday I visited several grower friends and took these pictures of Red Delicious and two Eastern European harvest workers happily picking the Red Delicious on my friend Simon's farm in East Kent. Last Saturday The English Apple Man spent the day at Ightham Moat supporting their Apple Fayre at the invitation of Pippa Greenwood who is the gardener with responsibility for the apple orchard. My prime role; escorting anyone interested in the old orchard at Ightham Mote and answering any questions from visitors about growing apples. Only a small element of what was on offer to visitors, but a very enjoyable interaction (for me) with some very nice people. My friend Stefan Jordan, a lecturer at Hadlow College enjoyed a steady stream of children accompanied by Mums & Dads as he demonstrated making juice from the apples he had on display. Stefan also demonstrated the art of budding. Another friend; Gilly Jones who has a lifetimes experience with Cobnuts and is custodian of the Ightham Mote Cobnut Platt. Gilly has a number of products she has developed, including a Cobnut and Bramley apple Granola muesli. That is all for this week, so until next Friday..